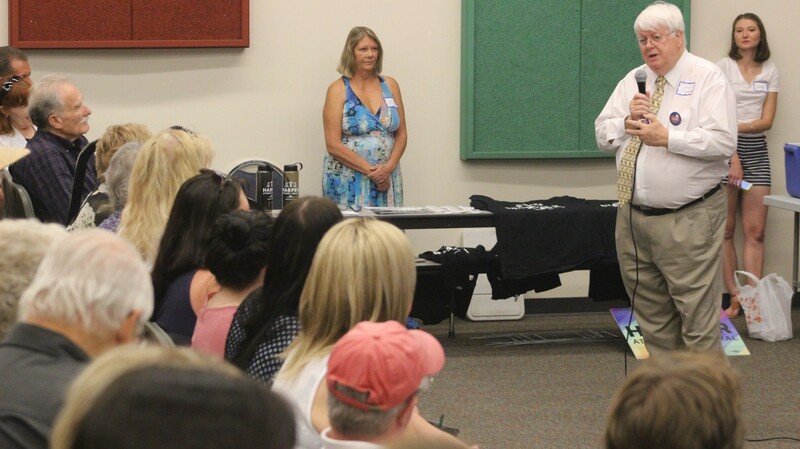 ST. GEORGE – Area Democrats gathered together Tuesday to meet and hear from two candidates seeking the party’s nomination for U.S. Senate seat. Whoever secures the nomination in the upcoming June 28 primary will go on to face incumbent Republican Sen. Mike Lee for one of Utah’s two Senate seats. 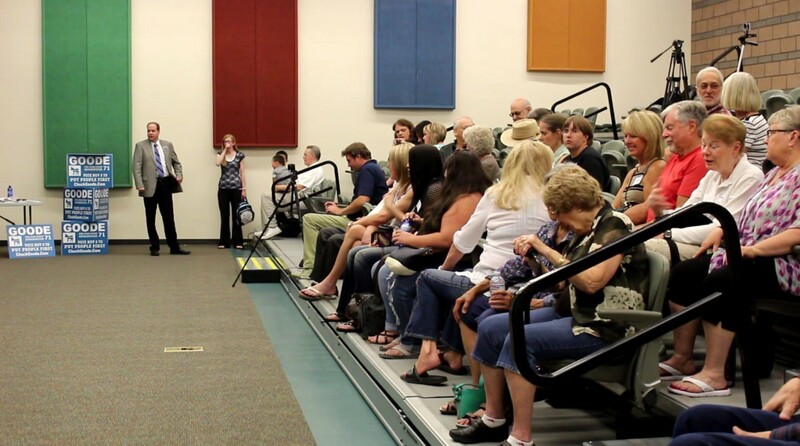 Candidates Misty K. Snow and Jonathan Swinton met with prospective voters at the Tonaquint Intermediate School and shared why they felt they should be the one to go toe-to-toe with Lee. “I think I’m the best candidate to represent Utah,” Snow said. Snow, 30, who resides in Salt Lake City, works as a grocery store clerk and said she can offer a real alternative to Lee. Congress is made up of elitists who have little in common with the working class, she said. “Working people in this country, we’re getting crushed,” she said. As a part of looking to improve the state of the working class, Snow wants to raise the federal minimum wage to $15. Snow touts herself as a progressive candidate in the same vein as Vermont Sen. Bernie Sanders whom she has supported during his run for the party’s nomination for president. As Sanders has gained a following among millennials, Snow is hoping to do the same. “I speak to the issues they care about, such as affordable college or a living wage – that’s going to get them to the polls,” Snow said after the debate. She also supports a single-payer system for health care. In the wake of the Orlando shooting, Snow shared her support for universal background checks for anyone buying a firearm. If a check comes back with the potential buyer being on a watch list of some kind, that gun purchase should be refused, she said. “Someone with that kind of record shouldn’t have a gun,” she said. 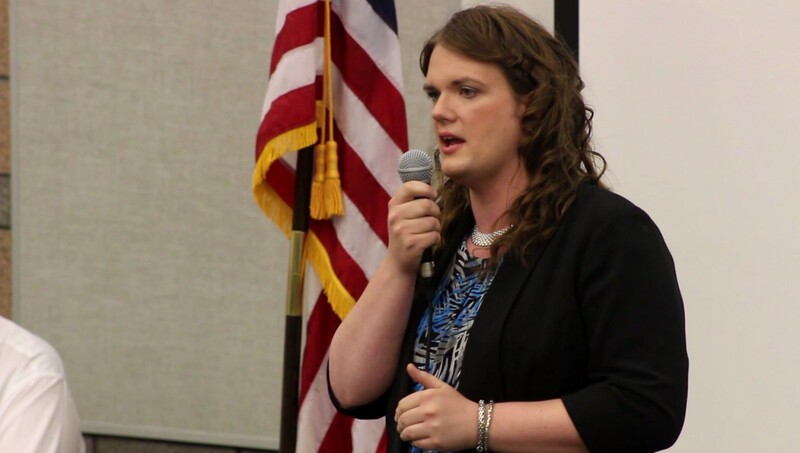 Should Snow beat Swinton in the primary, she will become the first transgender woman to win the nomination of a major party for Congress. It would be a historic event, she said, and she hopes it will generate the name recognition and fundraising she needs to beat Lee. Swinton, 35, said he is qualified to be the candidate due to his background as a marriage and family therapist and small business owner. “I have created two successful businesses,” Swinton said, one of which he still runs. He added that the business was “created in the depths of the recession,” and while other businesses folded, his grew into a network of clinics. 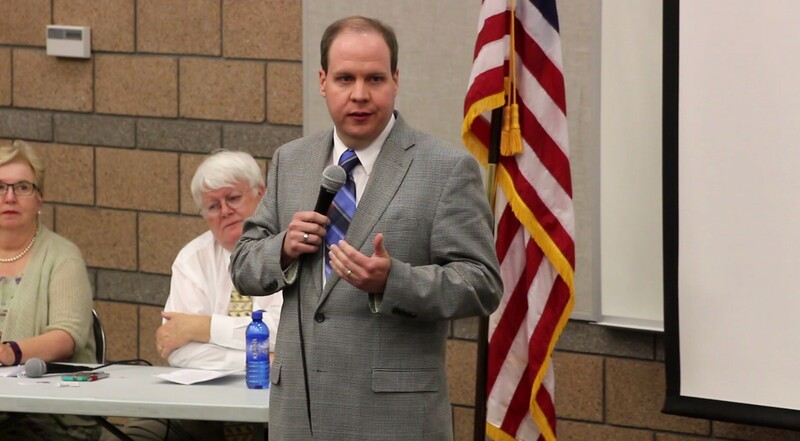 Primary skills Swinton said he will take to the Senate are those honed by being a marriage and family counselor – mainly that of being a mediator who would help two opposing sides establish compromise and cooperation. Swinton supports expanded legislation related to air quality and climate change as well as moving away from fossil fuels to renewable energy sources. On the matter of health care, he wants to revamp parts of the Affordable Care Act in order to make insurance more affordable. He also supports the idea of using medical marijuana in place of opiate-based painkillers. On gun control, Swinton said it’s too easy for people to buy a gun. As a mental health professional, he said he deals with people with suicidal and homicidal tendencies on a regular basis and proposed a way to possibly reduce gun violence. Health care providers tend to see people who are potentially mentally ill prior to that person’s committing suicide or murder with a gun, Swinton said. He proposed setting up a system in which guns could temporarily be removed from the home of a client the health care provider determines to be mentally unsound. 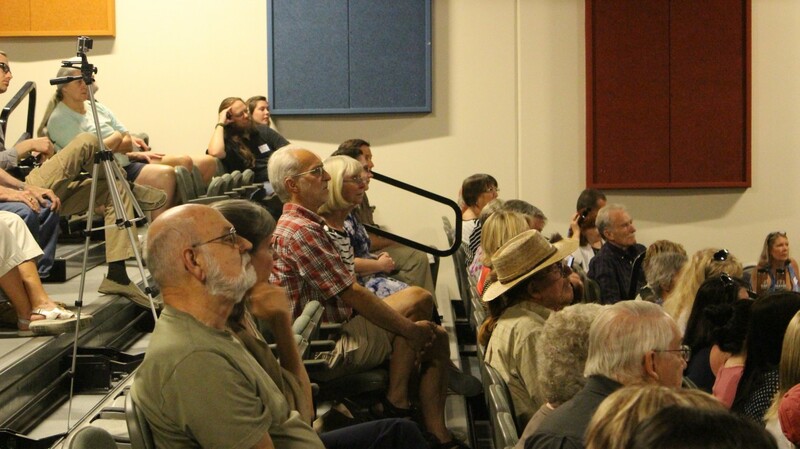 A question was raised as to Swinton’s views on abortion during the debate, referring to an op-ed he wrote that appeared in The Salt Lake Tribune last September. He referred to himself as being “pro-life” in the article, yet said during the debate he supports the use of abortions under certain circumstances. “I believe that life is precious,” Swinton said, adding that the laws allowing abortion in the United States aren’t likely to be changed anytime soon. Doing so would require a constitutional amendment, he said. While Snow said the Democrats don’t want someone who is against abortion to be a standard-bearer of the party, Swinton said it shouldn’t be an issue. If people make the election about abortion, he said, they’ll lose. “I want to keep the focus on what our goal is, which is to unseat Mike Lee,” Swinton said following the debate. Abortion will be an issue going into the primary, Snow said, adding that a woman’s right to have an abortion must be honored and advocated for. The primary election in Utah takes place June 28.